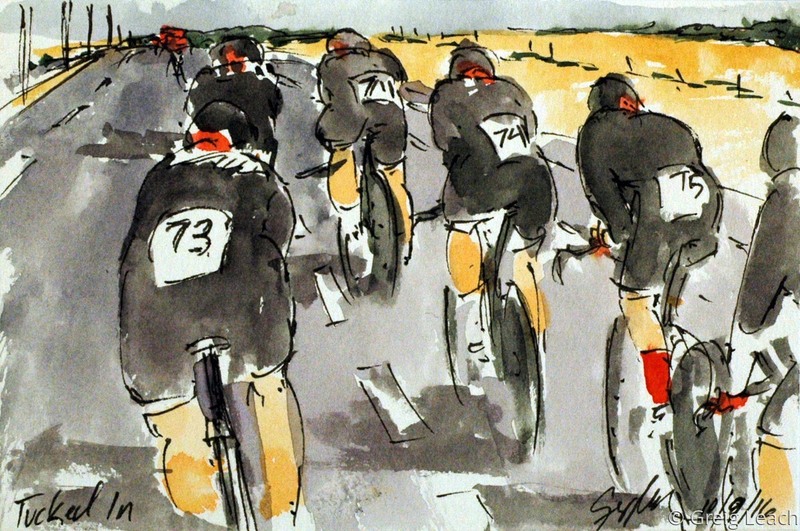 While I had hoped to repeat the on site live painting of the 2015 UCI Road World Championships that I did here in Richmond, Virginia, many others that were on the roads of Richmond are now racing through the desert in Doha, Qatar. Starting the racing off in the Elite Women's Team Time Trial for Twenty16-Ridebiker was the star of the Junior Women's ITT and Road Race, Chloe Dygert (USA). Her American team sat atop the leader board for a little while (the advantage of being an early starter), but finished the day in fifth place. The weather was certainly a factor today with truly hot temperatures and strong winds full of blowing sand. Fortunately, there was only one crash, but it put Raboliv out of medal contention.